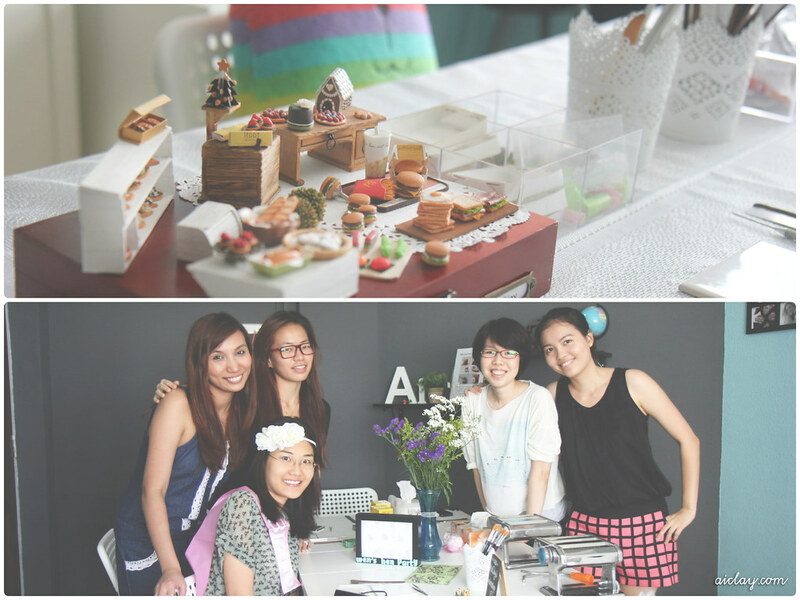 Last year 27th Oct, a group of lovely ladies trooped to my home studio armed with bags of tidbits and a bunch of pretty flowers. 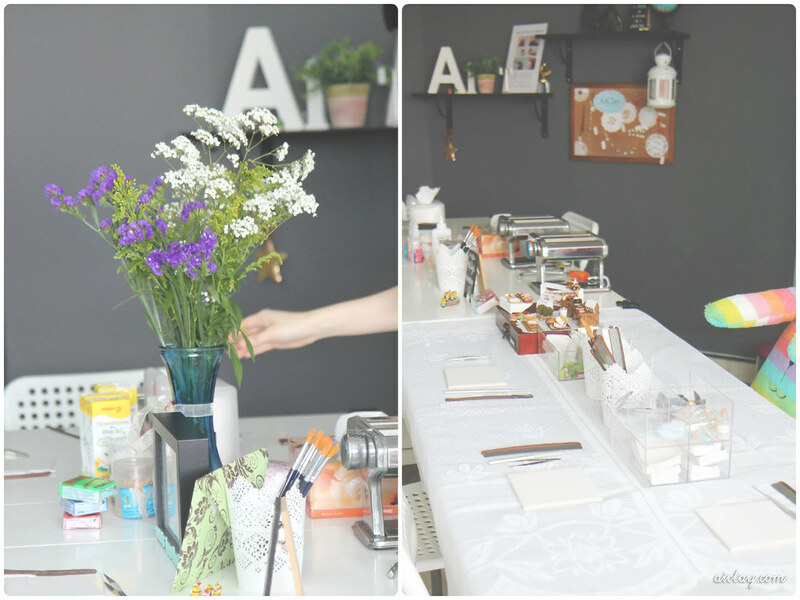 Together, we got down to work to decorate my home studio, all ready to welcome our secret VIP! Let's rewind to a few weeks before that day. 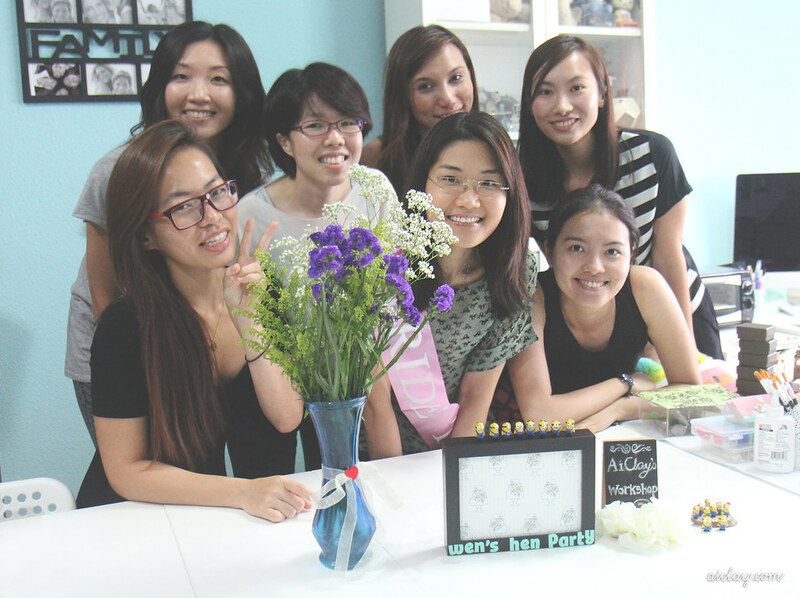 Eileen contacted me to host a surprise craft hen party for her friend and bride-to-be. 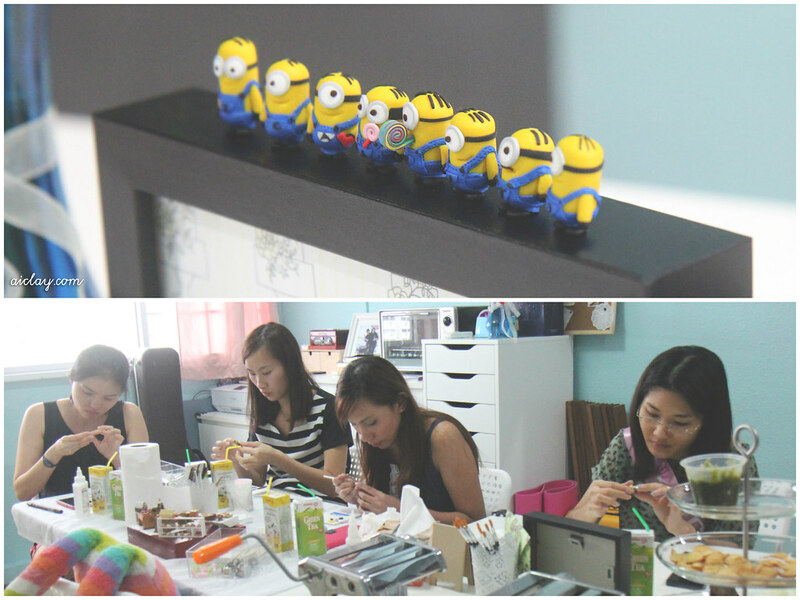 After some discussion, we settled on making miniature minions together and set aside a date where all of the bridesmaids could come join in the fun as well! with her closest girl pals. I managed to capture their serious side in making the little minions, but what you don't see here is how much fun and laughter was going around! Since all of them were close friends, it was a super lighthearted session with plenty of chitchat and mocking of each others' minions lol. The girls put on a flowery headpiece and sash for the special bride before we got down to crafting, and she was really sporting to have worn the sash till the end of the craft party! Wow that's a very well-buffed fingernail haha. One of the ladies' by the way, not mine. 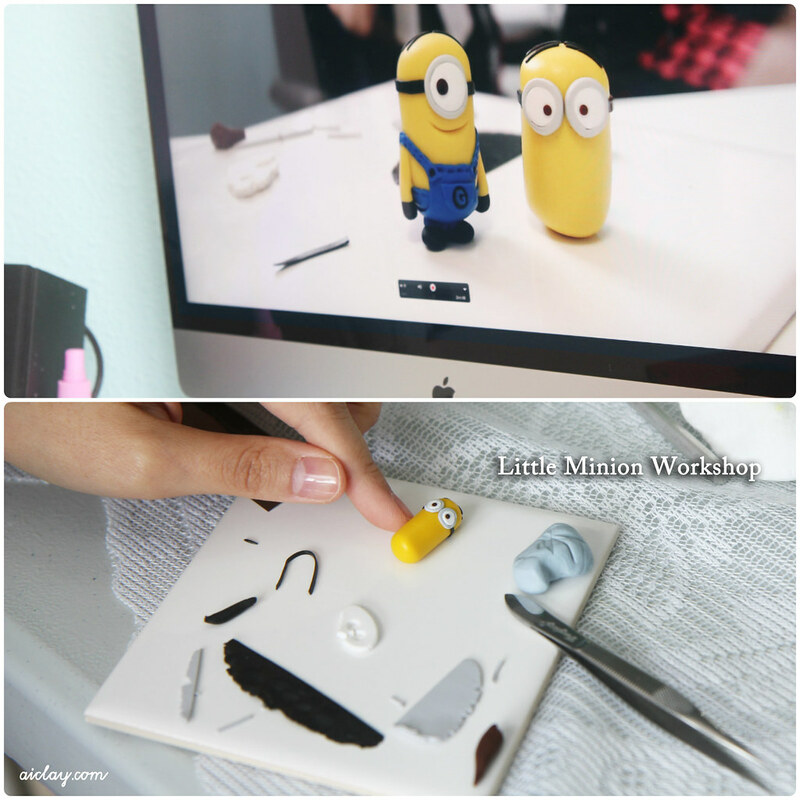 Of course I made use of the iMac again to project my demonstration of the minion-making process to the girls. The little fellows look huge on screen but nah, they're tiny heh. Check out the platters of tidbits they brought over! I don't think my studio has ever smelt that delicious ever haha. 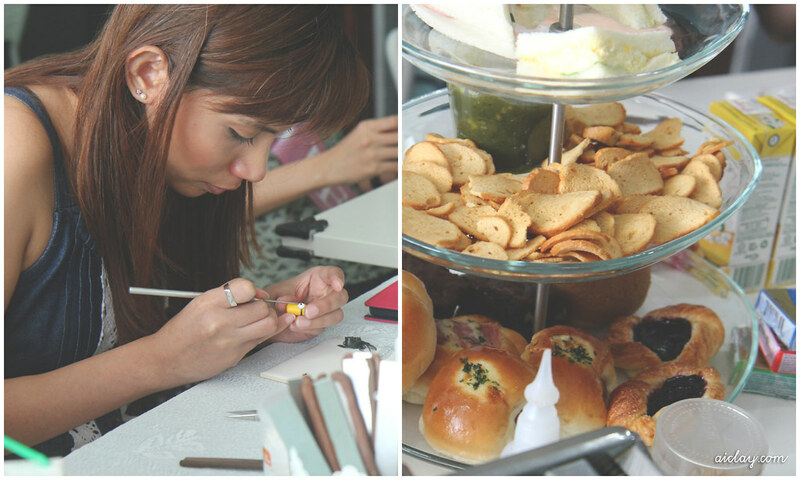 Crafting and snacking really goes awesomely well together. Just make sure to use utensils to handle your food or wash your hands! At the end of the craft party, there was an adorable family of little yellow fellows all handcrafted by the girls! Really awesome work, especially since it was the first time working with polymer clay for most of them. 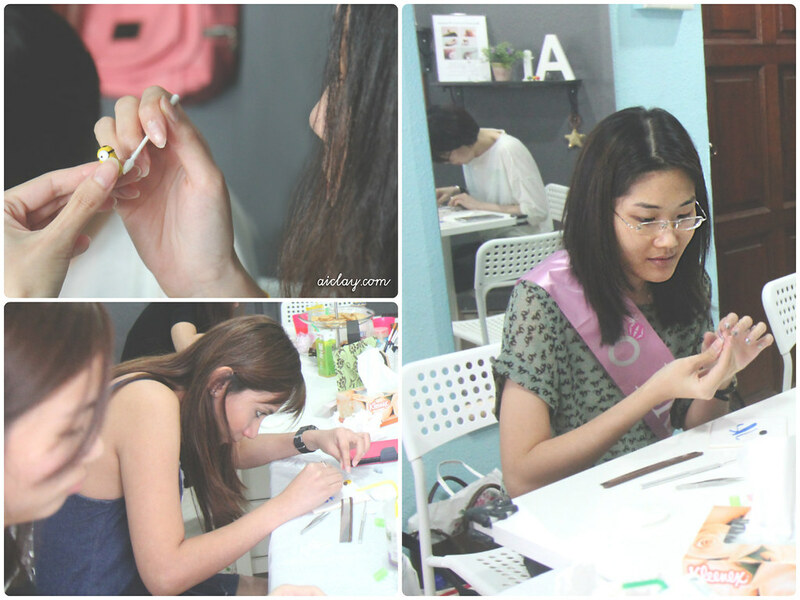 This is the second bridal party I've held so far, and I honestly feel it's one of the best hen party ideas for a craft-loving bride! Let me tell you why. For the first bridal party I held earlier in the year, the bridesmaids didn't know each other beforehand, so while crafting, they got to chat and discuss the various ways they were going to torture the groom's brothers lol. Best part was, there was never any room for awkward silences as there was always something to do with their hands! Crafting is really an awesome ice breaker. They all left the craft party newly acquainted and chatting happily like old friends. Also, they all left with a momento which they've hand sculpted from scratch. For the first bridal party, all of them even wore the pendants they made (they all made pendants with the theme 'rainbow', that's them in the photo above!) to the wedding! It's something to be cherished, and you'll always remember the banter and laughter shared when you see the craft piece. Pretty much beats just a regular dinner, or the common mass manicure session right? You can customise the craft item to be something which suits the wedding theme, or even something related to the bride's loves.